Our class will be updating our page throughout the year with all the fun things that we learn and do. We braved the rain today and quickly ran out in the afternoon when the sunshine finally peaked through to have our boat race. We all sat round in a circle with our spectacular boats ready to start the race. We raced two boats at a time and the winner of each race was then timed at the end. The time to beat was 4 seconds so we had one final race to decide the overall winner between Lex, Cadence and Shridhar. It was a very close race but Cadence's big Sails gave her that extra push towards the end. Although there was an overall winner of the boat race we all decided that we all did fantastic and have all created such wonderful boats and I would like to thank the children and parents for all the hard work that went into these boats as they are absolutely fantastic! For our Design and Technology lesson we created moving sea pictures. We made lots of different sea creature puppets such as: dolphins, whales, sharks, seahorses and turtles. We then came up with a short story with a partner to show the rest of the class. Just before the Easter holidays, 1G took an afternoon to decorate a tree. We made woodland pictures in the computing room and we created lots of wonderful butterflies using sequins, glitter and ribbons. We then when out into the wonderful sunshine to decorate our tree. 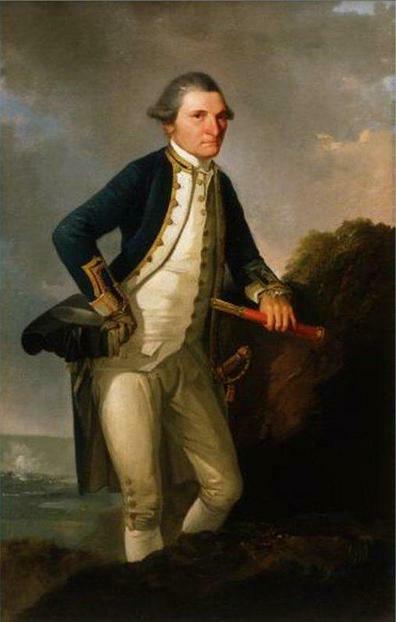 Find Facts about the amazing Captain James Cook! Last Tuesday we had a very fun and muddy time at Groombridge Place! We explored the forest and found lots of enchanting surprises on the way including a troll house and a giant Teepee. We created journey sticks that held all the wonderful things we found in the forest along the way. We also had lots of fun on the giant playgrounds and swings that we found in the forest. 1G would just like to thank the amazing staff and parents who helped us have so much fun on the day and I would like to really praise the children for being so well behaved and enthusiastic for the whole day! On Wednesday we found a new teacher in our classroom, she said her name was Miss Cackle. She told us that Miss Gayson had mysteriously disappeared but we think she may have turned her into a toad. She said she would be teaching us and we would all be witches and wizards for the day. So we all made sure we looked the part with hats, brooms and wizard cloaks. Miss Cackle also did not like our table names, she said they were not magical enough, so we came up with some new names: Hogwarts school table, potions,witches and wizards table, the black cat table and witches and wizards table. Our first magic lesson of the day was to create names for the potion ingredients that Miss Cackle had brought with her. We had Witches blood, Dead worm blood, deep dark toad slime, blue goo and slimy green goo. Then we worked as a group to think of a potion that we could create and what would happen if we used that potion. We chose two of the ingredients and created a potion recipe. Our second magic lesson was making the potions! Miss Cackle showed us how to make our own potions. We followed our potion recipes and using ml to measure our ingredients out and poured them into a potion bottle. We then created a wicked name for our potions. Our final lesson of the day was spells. We had our magical potions but they would not work unless we used a spell as well. In our groups we came up with magical words and thought about how we would say them. Then we started practising our spells, we used our hands and pointed them towards the potion and then said the magic words. George, Max and Maya used their magic wands to make their spells extra powerful! Giant Red Blood potion- this made you giant! Little potion- this made you become really tiny! Candy wing potion- this would make you fly! Candy Candy wing potion- this would make you fly! We will keep you updated on what else we find. Today something out of this world happened. This morning we were summoned to the hall for an emergency assembly. Miss Owen told us that an incident had occurred in the back of the school and she gave us the very important job of investigation this incident and writing an incident report for her. We made sure that we all used our best detective skills in order to investigate the incident scene. We made our way to the back of the school and what we found was truly extraordinary. We found pipes, silver tyres, rocks, wires all over the reception outside area. We looked at this evidence and came to the conclusion that there must have been some sort of crash. Ruby then found some buttons which when pressed made what we thought could be Aliens screaming. This made us think that it could be an Alien spaceship that had crashed landed. We then looked for more evidence of Aliens and we found gooey footprints which we think can only have been made by Aliens. We are not sure as yet whether the Aliens are still on Earth or whether they have gone back to space. Henry suggested that they may have used rocket boots to jump back into space as the footprint trail stops. On Friday we finished off our final preparations for our cafes, we had created decorations, signs and menus with pricing for our cafes. We were also very kindly donated lots of food to sell in our cafes by Waitrose so by the afternoon we were ready to sell lots of biscuits, cakes and fruit salads from our cafes. We set up all our cafes in the hall and invited the juniors to come to visit and buy lots of lovely food. All this week the children have been designing and making their own café. We started the week by visiting the Walnut Cafe in Sidcup. They very kindly invited us up to the cafe and showed us how to make smoothies and milkshakes and told us all the important things we might need to know to run our cafes. On Tuesday 30th September we had some very special visitors to our school. These visitors brought with them some very exciting animals that are very similar to dinosaurs. We were able to hold all the of these different animals and talk about how many legs they have and lots more!! We met two lizards, cockroaches, millipedes, a cameleon and two snakes. This week in class we have been making lots of dinosaur discoveries. We have been learning about where dinosaurs lived and have created our own dinosaur land. We also looked at some fossils and created some of our own. We have also learnt about dinosaurs teeth and what types of food that dinosaurs ate. We are eagerly waiting for our dinosaur eggs to hatch to!! We have found some interesting and exciting websites for you to explore below. If you want to learn more about dinosaurs why not try and and find some non-fiction books at home or at the library and bring them in to school. You could even research some brilliant facts about the age of the dinosaurs and share them in class. On our dinosaur adventure and we found some dinosaur eggs, dinosaur bones and dinosaur footprints. We are now waiting for the dinosaur eggs to hatch. On Monday 8th September our class received an email from the National History Museum telling us about an exciting adventure that we would embark on that day. Our adventure took us back to the time of the dinosaurs! We packed up all our adventure gear and set off to find the dinosaurs. We searched in the dinosaur nests.